We have shared before, about projects our Social Media ‘friend’, Barb Marshall, has taken on… She shares her passion for Happy Mail on her RiteWhileUCan Blog. She also has a project to spread Christmas Cheer… We just can’t say enough about the MakeItMerry Project – which works to send Holiday Cards to the homeless! But first, this afternoon, I will be sorting and reading (with the help of friends) some of the hundreds of Christmas cards for one of the homeless shelters as MakeItMerry makes a delivery tomorrow. 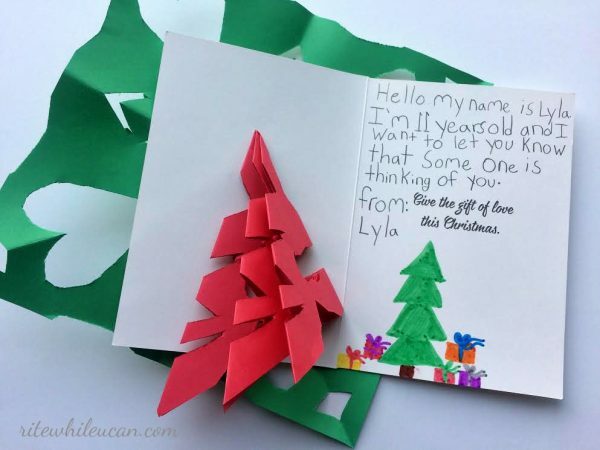 We hope Barb’s passion for sharing Cards and Joy, inspires you to share a little “paper love” during this Holiday Season!